This trio of happy dogs came back to see us for a visit and what a lovely well behaved trio they are and they loved all the attention they received from us. We work hard at the Trust to assess our dogs and try to match up the right dog to the right home, so we are proud that very few dogs are returned to us, and that very happy that many of our adopters come back in the future for another dog. 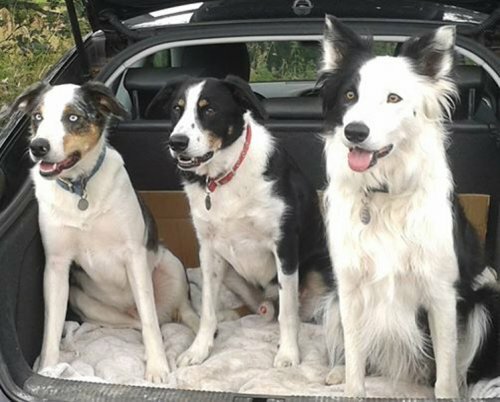 These lovely boys are Harry, Mac &Jack; all Trust dogs adopted in different years into the same family. It was lovely to see them last week when they called it to see us on the way up to the dales for a good day out. Absolutely no prizes for guessing which one is Digby's brother!